Classes are ongoing, new students can join any time! More class hours are available at no additional cost as students advance into higher levels! Click here for membership information! During practice sessions, students can ask questions and practice any material that they have been taught. The head instructors will always be present to answer questions and assist students with their material. Practice sessions give students the opportunity for extra hours of Shao-Lin practice to stretch, work out, relax, or to socialize with other Shao-Lin students before their classes begin. Instruction hours are taught by certified Shaolin instructor Associate Master Kim Anh “K” Eastman, and include the Shaolin material appropriate to the student’s skill level. Classes will allow students to work Shaolin Kung Fu into and around their busy schedules! Students can attend as many classes per week that are available for one low price! Class time availability will increase as the student advances to higher levels in the Shaolin Art! Students test at their own pace, with testing times during practice sessions or at the end of class sessions! 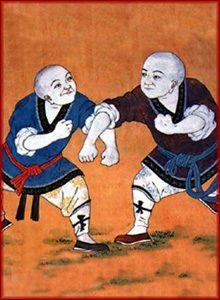 Seminars and Events are held monthly and will always include a rare aspect of Shaolin training & conditioning, animal or empty hand form, a weapon form, or meditation and chi kung (qi gong)! Seminars give students another aspect of traditional Shaolin training that will make them healthier, happier, and a more effective martial artist! Some of the seminars are required to be eligible to test into various black belt levels. Check the website regularly for dates and times of special Seminars and Events!